Ecologically sustainab­le mo­bi­li­ty con­cepts are be­co­m­ing in­crea­singly im­portant. W&H sup­ports go­vernments and busi­nes­ses in the de­ve­lop­ment of al­ter­na­ti­ve trans­port and lo­ca­ti­on con­cepts, in par­ti­cu­lar using en­vi­ron­ment­al­ly fri­end­ly in­land ship­ping. 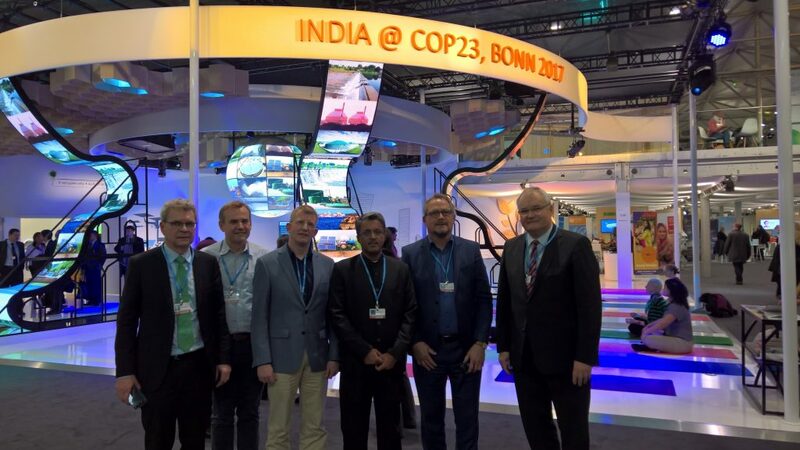 At the in­vi­ta­ti­on of the Inland Waterway Administration of India, Dr. Norbert Wagener vi­si­ted the Forum “Indian Transport Sector: Towards Sustainable Mobility” on November 14, 2017 in Bonn. Much at­ten­ti­on was paid to the con­tri­bu­ti­on of Pravir Pandey, Vice President of the Waterway Administration at the Ministry of Shipping of the Republic of India. He re­por­ted that the 2016 Waterways Act de­fi­ned a to­tal of 106 new na­tio­nal wa­ter­ways. With the cur­rent fi­ve wa­ter­ways, India has now a to­tal of 111 na­tio­nal wa­ter­ways in 24 sta­tes with a to­tal of 20,000 km in length. The Ganges is up­graded to the wa­ter­way 1 en­vi­ron­ment­al­ly fri­end­ly from Calcutta to Varanasi. Dr. Norbert Wagener sup­ports the wa­ter­way ad­mi­nis­tra­ti­on on be­half of the World Bank as a stra­te­gy con­sul­tant.